Williams Tree Pro is fully equipped to undertake block clearing and block clearance projects, for residential and commercial customers. We specialise in the removal of trees and stumps, ground levelling and can assist with new building sites, school and government land and new housing blocks and sub-divisions. We can ensure trees are removed safely and efficiently in order that levelling and building works can begin. We have the equipment, expertise and machinery to quickly fell and remove trees. 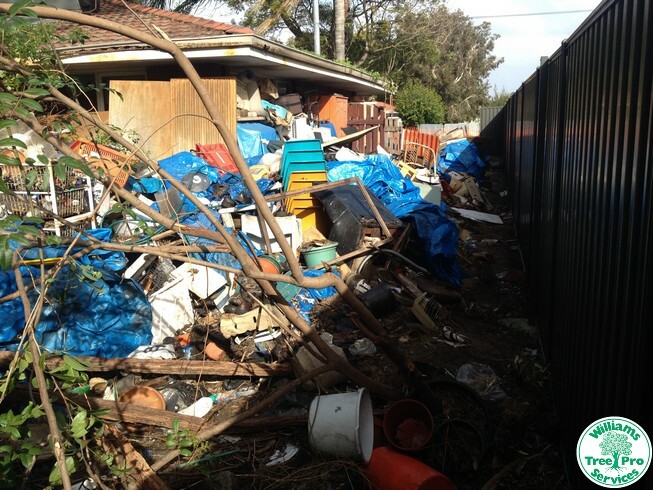 Our block clearing Perth specialists provide a comprehensive range of services to both residential and commercial customers in Perth and the surrounding area. With years of experience and an in-depth knowledge of tree removal techniques, our qualified arborists are ideally equipped to clear blocks of land in both urban and rural locations. Whether you are a homeowner who wishes to build an extension on a small block containing a couple of trees or a property developer who has acquired a densely wooded block of land, our team can help you to prepare the block in question for new construction work, at very reasonable rates. To request a quotation or further information on our block clearance services, please call or email us at your convenience. Comprised of highly-skilled tree removal specialists who are committed to upholding the high standards for which we are known, our block clearing Perth team is capable of tackling jobs of all sizes in the city and suburbs. In addition to the safe removal of both young and mature trees, mulch any vegetation that remains, we can dig out and remove or grind down stumps. We can also dig out grass, unwanted concreate, bricks and hard materials and root rake the site ready for your builder to do his final trim and compaction for the slab. Root raking is a very important part of your block preparation because it removes all unwanted roots and rubble down to a depth of 600mm so your house pad has the best foundation. If roots are left under house pads they will decompose over time and leave a void that could allow your house to crack. We also level the ground after root raking the site. All unwanted waste is removed and taken to appropriate tip sites. If you would like to ensure that your new development gets off to the very best start possible, without any unnecessary delays, our services will help you to achieve this aim at an affordable cost. We have worked with many local businesses over the years and have a reputation for providing highly professional block clearance services of which we are very proud. Our services are available to private, commercial, industrial and municipal clients in Perth and the surrounding area so whatever your needs may be, please don’t hesitate to get in touch with us to discuss them with one of our block clearance experts. We are fully conversant with all state and federal regulations regarding tree removal and other block clearing activities, which means you can rely on us to perform all the necessary work in a safe and environmentally sound manner. Furthermore, despite the fact we are one of the leading block clearance specialists in the area, our prices are highly competitive so we can help you to complete your next development project quickly and efficiently, without going over budget in the process. Whilst our primary area of expertise lies in tree removal and stump grinding, we offer full site clearance services to our clients in Perth . 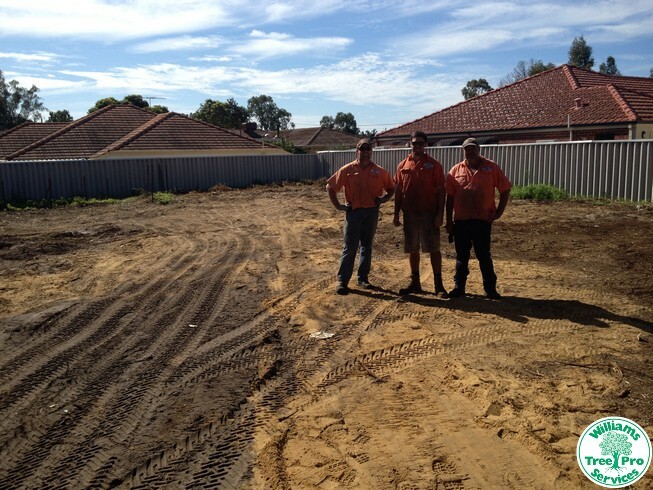 We aim to ensure that any block we clear is ready for new development work once we have finished and with this aim in mind, we are happy to provide both ground levelling and rubbish pickup services as part of our block clearing Perth packages for local residents, public authorities and commercial organisations. Building a new home? We can help with clearing your block. Removal of debris and deadwood. Large scale landing clearing and land clearance. Expanding on your paddocks and managing land. Removal of tree fire hazards. The team at Williams Tree Pro are fully skilled, licensed and equipped for small and large block clearing projects. We are fully qualified arborists, tree loppers and tree removal experts and are equipped with all the right tools, equipment and experience. Give us a call on 0416 356 359 or leave us a message and let's talk about how we can work together on your next block clearing project.